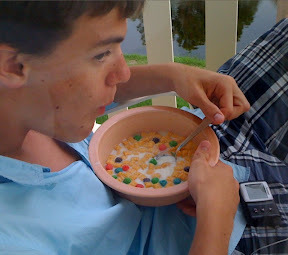 After a P&J the boy needed a bowl of Captain Crunch. A little bowl. A serving bowl. Do crunch berries count as fruit? At least he had the pump at the ready. "Do crunch berries count as fruit?"